As we honor Jewish American Heritage Month, Scotch Plains Public Library’s May programs will examine the phenomenon of Fiddler on the Roof from a variety of vantage points. 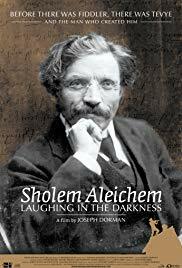 Sholem Aleichem: Laughing in the Darkness (93 min) – This film tells the tale of the rebellious genius who created an entirely new literature. Plumbing the depths of a Jewish world locked in crisis and on the cusp of profound change, he captured that world with brilliant humor. Sholem Aleichem was not just a witness to the creation of a new modern Jewish identity, but one of the very men who forged it. Fiddler Sing-along with Tim White – Sunday, May 19 at 12:30pm.